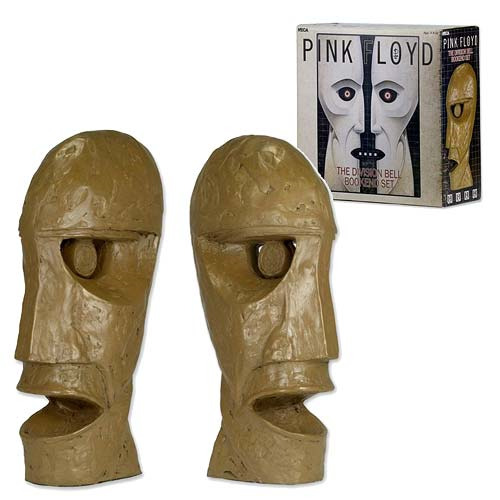 Proudly display your favorite books with this set of Pink Floyd The Division Bell Bookends Statues! Based on the iconic sculptures from the cover of Pink Floyd's classic album, The Division Bell, these great statues are made of resin and hand-painted with subtle metallic accents. Each bookend measures 8-inches tall x 4-inches wide x 2-inches long! Ages 14 and up.